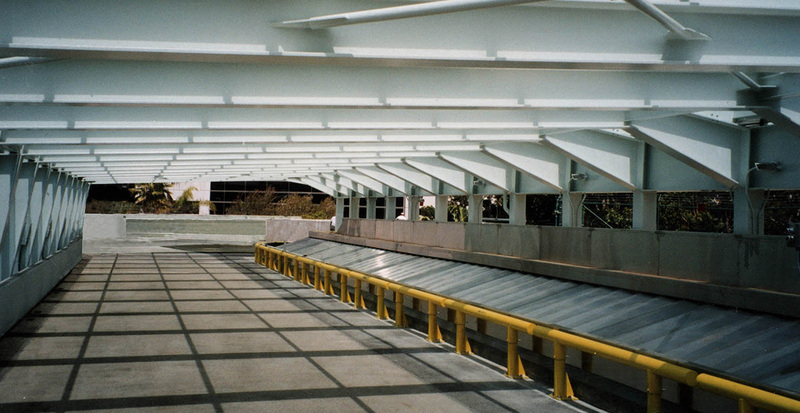 The first phase of this $2 million renovation included 400 linear feet of passenger-friendly baggage handling conveyor belts, as well as check-in counters, message boards and spacious passenger lobbies and corridors. The second phase of the project was to alleviate overcrowding in the existing baggage make-up area to a more accessible area for baggage handlers. 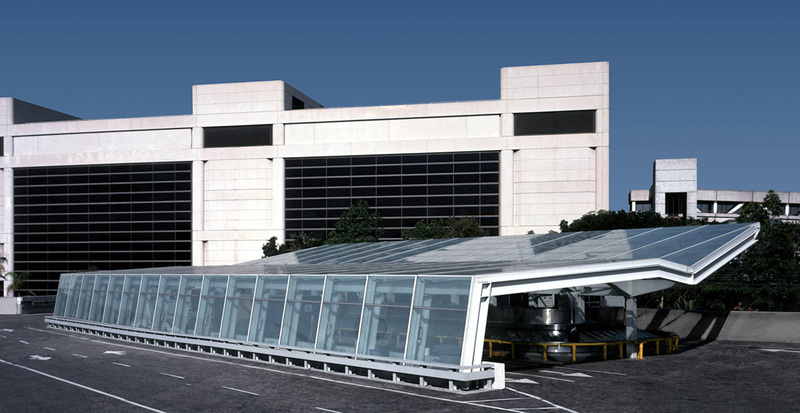 A new exterior baggage carousel installed at the west end of TBIT is protected by a new 117-foot long by 55-foot wide glass canopy which allows sunlight into the work space and enhances visual security for the area, while maintaining nearby jet aircraft clearance. Four new check-in counters and over 400 feet of conveyor belts were added to support the carousel. 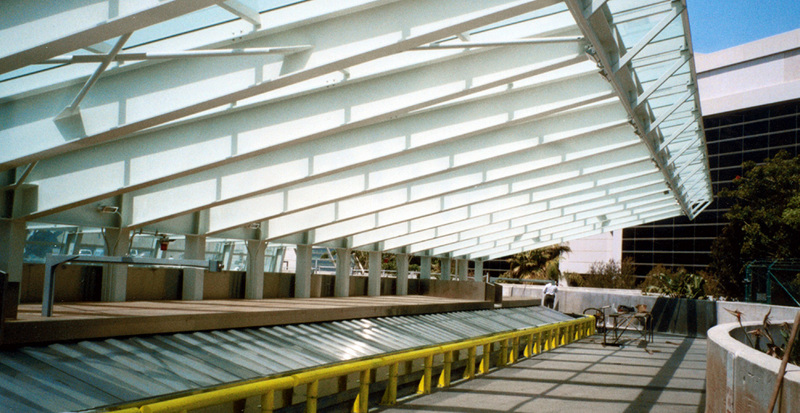 This project received the 2001 Design Excellence Citation Award from the Los Angeles Chapter of the AIA.